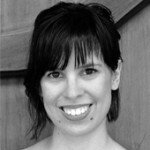 Laura Benítez Valero is an external associate professor, independent researcher and curator based in Barcelona. She holds a PhD in Philosophy (Autonomous University of Barcelona) and is specialised in Bioart within the area of Aesthetics and Philosophy of Art, as well as holding a Master in Contemporary Philosophy and a Master in Aesthetics and Theory of Contemporary Art. Over the past six years she has worked as a teaching fellow and researcher, being a member of various R & D projects. 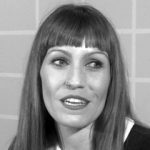 She is a member of the teaching staff at EHEA´s official master Research master in Art and Design (EINA University of Design), and member of the teaching staff of Aesthetics (Autonomous University of Barcelona). She has also been a guest researcher at the Ars Electronica Archive and at the Museum Of Contemporary Art of Barcelona. Besides this, she works as independent curator and is a member of the Leland Palmer collective, with which she has developed exhibitions and research projects, the last one being focused on censorship in contemporary art practices in the “post”-dictatorial Spanish context. Currently, she is developing a research project on bio-resistance, and has curated a seminar entitled Bio-resistance, Transversality and Emancipation on contestational practises and bio-hacking (MACBA, December 2015). Recently she has conducted the course Bioart. The Human Condition in the Contemporary Art as part of public programs of +HUMANS exhibition (CCCB 2016). Her research is focused, even committed to disturbances, contestational practices and theories, where Ethics, Identity, Gender, Subjectivity or Politics (among others) are understood as not pre-determined but always changing and unfolding. Considering that critical thinking-action helps to reveal, or at list to remember, the artificial boundaries that we forgot we invented. With the intervention of Dr. Julia Ramírez Blanco, lecturer in Barcelona University (Juan de la Cierva programme), and part of AGI Research Group. She is author of the book Utopías artísticas de revuelta (Cátedra, 2014), where she explores the aesthetic and utopian dimensions of various social movements. Specialist in the relationship between art and utopia, to which she dedicated her PhD thesis, she is currently the editor of a monographic edition of the magazine REGAC about Non-Textual Utopias. Developing her work in various institutions in Europe and the United States, her texts have appeared in English, French, Italian, and Spanish in various co-authored books and in magazines such as Third Text, Arquitectura Viva, Quintana, Lars, Boletín de Arte, El Mundo, and The Nation.